"Horrified right now - woman has fallen under our train carriage. We're all in tears." 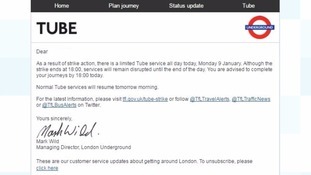 TfL advise passengers to complete their journey before 6pm this evening as disruption will continue beyond the 24-hour strike. It is not yet clear what has caused the police investigation or how long the line will be shut for.